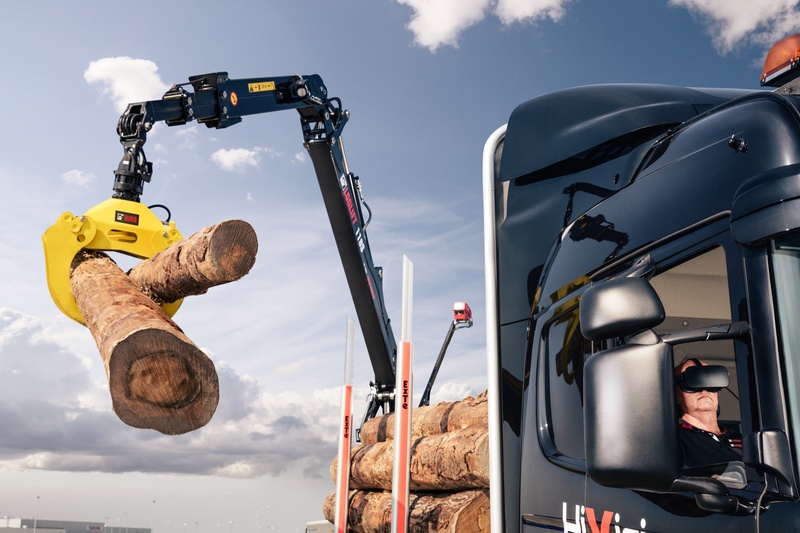 Hiab, part of Cargotec, has opened the order books for the camera-based HiVisionTM control system for LOGLIFT and JONSERED forestry cranes. HiVisionTM, which moves crane operation to the truck cabin, was first showcased in the Bauma exhibition in April 2016 and it has been demonstrated in several locations in Europe and Japan. Orders for the HiVisionTM system have started in October and the first customer deliveries will be in January 2017. The HiVisionTM concept is unique in the industry. It has four cameras on top of the forestry crane that enable a realistic 270-degree view for the operator. This enables the crane operator to see the working area and operate the crane from the truck cabin using virtual reality goggles. "In the Bauma exhibition, HiVisionTM was already tested by 3,000 visitors. Since then, customers have shown a growing interest towards this new technology. During the past two months we have run several HiVisionTM tours where more than 1,000 customers have had the opportunity to test the crane in real conditions. We have received excellent feedback and there's been a lot of expectation of opening sales to the market. 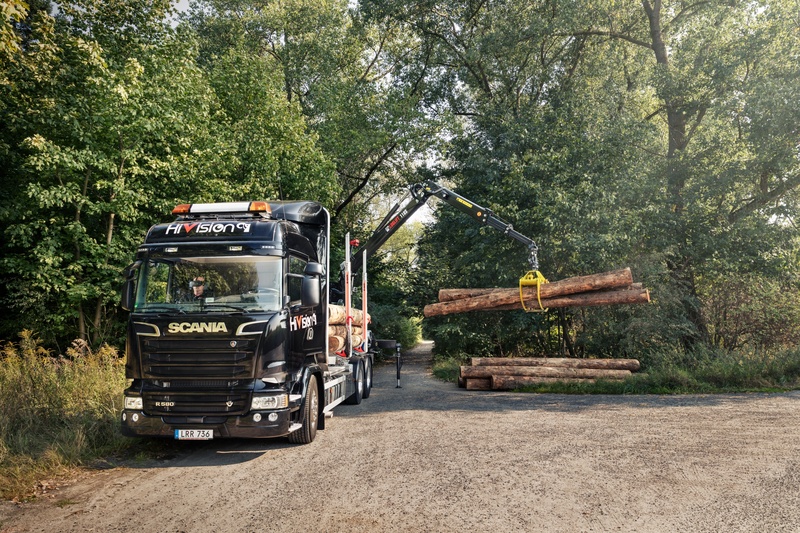 It's easy to see the advantages for the crane operators in terms of safety and comfort," says Jon Lopez, Vice President, Forestry Cranes at Hiab. In June, HiVisionTM was awarded the KWF-Vision award in connection to the KWF exhibition in Rodin, Germany. 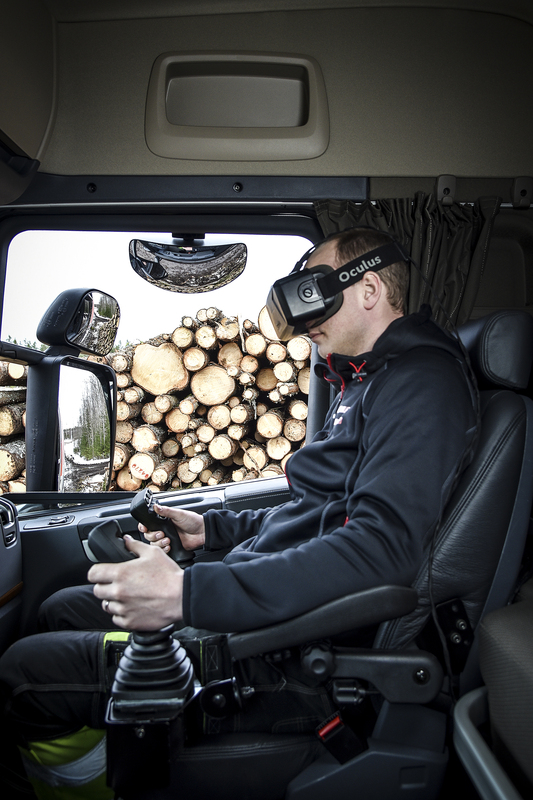 According to the jury, "the novel camera-based 3D technologies provide important steps for improved functionality, ergonomics and safety, pioneering new ideas in crane control in the forest." Jon Lopez says: "The KWF award is considered as the 'Oscar Prize' in forestry business and we were very proud to receive it. This year, we are celebrating the 50th anniversary of LOGLIFT forestry cranes and this prize together with the success of HiVisionTM crowns the jubilee year. We were the first in the industry to bring the cabin to the forestry crane and now we are introducing the groundbreaking innovation in the development of crane operation," Lopez concludes. Hiab will present HiVisionTM as a simulator at the Pollutec exhibition in Lyon, France from 29 November to 2 December on Hiab's stand 112 in Hall 2, Aisle G. Welcome to visit us!